Southwestern Adventist University Scholarship Blog – Knowledge. Faith. Service. Looking for Money to Pay for College can be STRESSFUL! Scholarships are known as gift aid because they generally don’t have to be repaid. If you’re looking for ways to pay for a degree or certificate, consider scholarships and grants first. Not only will scholarships save you money, but they look great as a mark of distinction in the “awards” area of your academic or work resume. 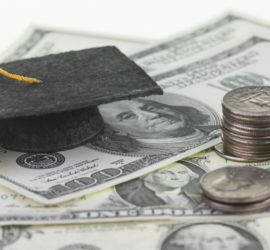 There are two types of scholarships, one awarded by colleges and universities and the other provided by companies and other organizations in the private sector. Institutional scholarships. Higher education institutions award institutional scholarships. The amount awarded is often based on academic merit and need.Things to know or do:Contact your school for a listing of specific scholarships available. Private sector scholarships. Private foundations, companies, and service groups award scholarships. There are thousands of such scholarships available and the amount awarded varies widely depending on the provider. Private scholarships can be payable to the student, the college, or both.Things to know or do: Colleges have different policies on how funds are treated. For example, if you receive a private scholarship, your school may reduce the financial aid you are eligible to receive. Check with your financial aid office to learn your school’s policy. 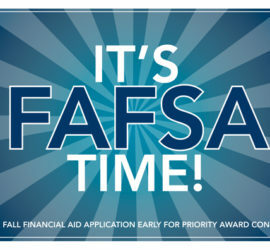 Also report scholarships on the Free Application for Federal Student Aid (FAFSA). Professional interest, e.g., business, legal, etc. Previous post Almost Free Money!